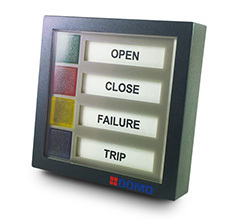 DOMO is an Italian company that produces signalling and control devices for power plants, energy or natual gas distribution stations, refineries and any other industrial process. 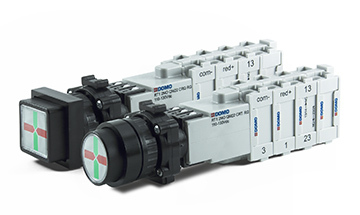 The DOMO brand is present on the market as a producer of modular components since 1978. In 1994 it assumes DOMO S.r.l as its corporate name. In order to meet the needs of an increasing number of demanding customers, DOMO has developed products of high reliability and adequate level of technology. The evolution of DOMO's product lines. DOMO offers its own line of mosaic mimic panels which over the years has become the most important, complete and widespread in the world. 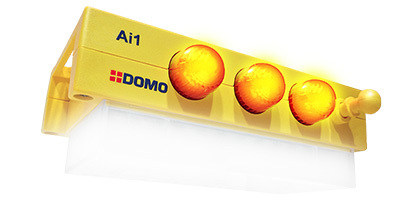 DOMO develops the first series of its LED Indicators, which have been constantly improved to find use in the most prestigious Italian and foreign Companies. 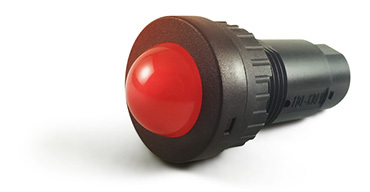 The Spherical LED Indicator HD22 SFT wins numerous awards for its innovative industrial design. 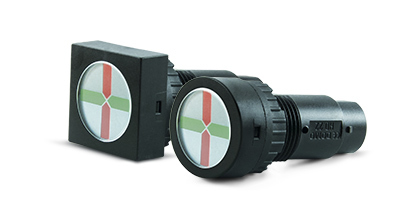 During the same year 12 new pilot light models were introduced, together with the Ø16mm Pushbutton Switches line. DOMO Semaphore LED Indicator is the most used in the world, thanks to the partnership with prestigious multinational companies as ABB, SCHNEIDER, SIEMENS, AREVA, GE. 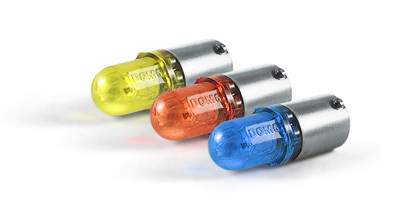 DOMO starts the production of its line of Small LED Indicators, small shape and contained space. The new Lamps are launched on the market: BA9s, BA7s, E10, T5,5, T5,5k, E14, BA15, even more efficient in terms of duration and brightness; especially DOMO BA9s model 2009-2013 has never received non-compliance by the customer, a sign of complete satisfaction, becoming the LED Lamp "most loved by Italians". The LED Indicators line is renewed to make room for new productions: LED Beacon Lights, Stack Lights with LEDs, BIG MultiLEDs and even more luminous devices and with several interesting solutions. 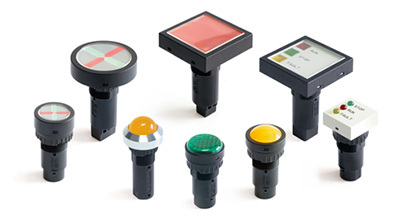 Patented the Semaphore Pushbutton, the first device that integrates the Position Indicators with the functionality of the discrepancy switches. It saves space, wiring and costs. 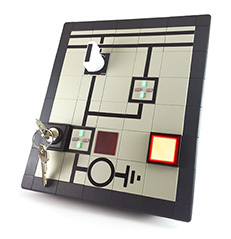 DOMO invents and produces the first All in One safety device for electrical panels, compact and easy to install, unique of its kind. DOMO's constant objective remains the quality of its products and services. Since 1999 DOMO realizes his productions according to ISO 9001 quality system, with the credit of UL International Italy and since 2008 by adapting to the ISO9001:2008 certification credited by DQS-UL Italia. The guarantee of Made in Italy. The DOMO products are entirely designed and assembled in Italy in the headquarters of San Giuliano Milanese. The production is fully internalized with the guarantee of 100% made in Italy, for a widespread control of the entire process. Our workforce is skilled with high levels of competence and technical preparation. Our constant research and design of new technological solutions ensure that our products are reliable and practical at the same time, in the name of technical innovation and technology. Custom made products are developed on our customers' specific needs. Everyday we develop special versions of our products for ABB, Schneider, Siemens, Mitsubishi, ENEL, Terna, RFI. ATM, Alstom, Areva, Hitachi, Snamprogetti, A2A, Alsaldo, RTKand more than 400 italian and foreign electrical panel operators, 100 industrial automation operators. DOMO policy on Conflict Minerals. From 2015 DOMO is committed to respect the provisions expressed in Section 1502 of the Dodd-Frank Act. Reliability has always distinguished DOMO products and depends on the method of execution and the quality of the materials used. DOMO LED Indicators conform to industry standards and international standards, and represent the maximum reliability for quality and durability. During all the years, many have chosen DOMO.